Muhammad Saiful Muhamad Ali, who received his datukship in 2015, is also a director of numerous companies. In the video, the then-21-year-old Datuk Muhammad Saiful Muhamad Ali is seen donning a tailored-made maroon suit, gold rings on his fingers, and a pair of shades as he sips on a drink in a private jet with an elderly man. Upon touching down, he and the older man - presumably his father - are whisked away to the event in a Rolls Royce. Once inside, belly dancers and singers took to the stage to entertain the guests while the young Datuk makes his way to his table with family members. The event ended with a traditional cake-cutting ceremony. Although the video was posted in 2016, it has since resurfaced on social media after Datuk Saiful reposted the clip on his Facebook page. At the time of writing, it has garnered over 350,000 views. The video was produced by local film production company Golden Dreams GDU Film Style Videography. Who is Datuk Muhammad Saiful Muhamad Ali? 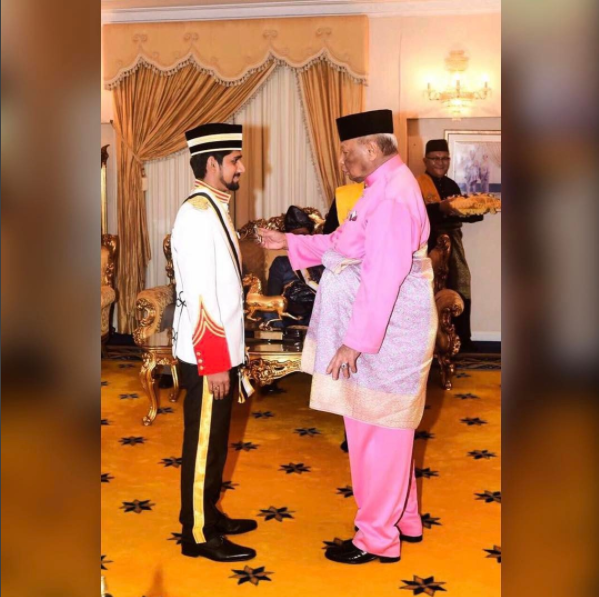 According to a picture posted on his Instagram account, he received the Darjah Indera Mahkota Pahang award, which carries the Datuk title, in 2015. He is also the owner of a number of companies that include Saiful Metal S/B and Superstar Records. Recently, he released a Tamil short film titled 'THU ORU PADAM #IOP'. "A short film about the daily routines in an office environment exaggerated by interviews and staff antics. A conglomerate of romance, jealousy and as you can already tell, comedy," the description of the video reads. This project is an initiative by the Ministry of Urban Wellbeing, Housing and Local Government. The incident happened during the 90th Malaysian Kennel Association (MKA) Obedience Trial.